While hunting for an Earthcache, I was also on overwatch of Germany Valley in the Appalachian Mountains. 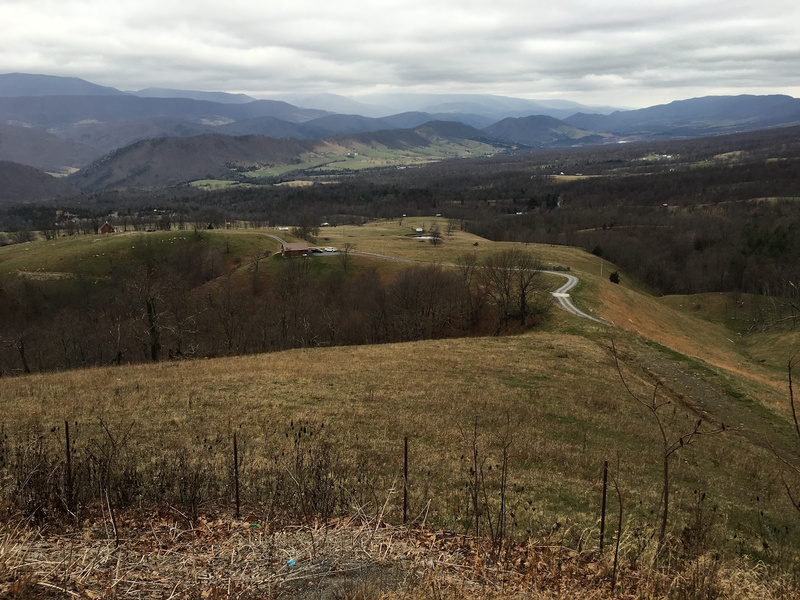 While searching for the answers to log an Earthcache, I was also overwatching Germany Valley in the Appalachian Mountains. I had driven down U.S. 220 from Keyser, West Virginia (and stopped to see President Lincoln’s mother’s cabin) and then turned west to cross the mountains, heading for Missouri to spend Thanksgiving with my in-laws. I wanted to log a geocache in West Virginia and this one seem to be it. It was a cold, snowy day at 3,300&nsbp; feet. The gray skies coupled with the leafless trees gave the scene a deep sense of bleakness. But, it was still a good day and I’m glad I stopped.